There aren’t many things worse than finding that you have fungus growing in your indoor growroom. 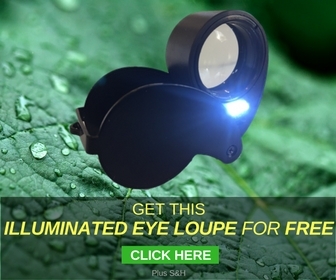 One of those things that is worse just happens to be fungus gnats. These are common pests that can be found in areas where plants are being grown indoors, and there is high moisture and/or humidity in the area. You may have noticed a few of the adults flying around the area, and didn’t think much of it as the adults are a rather harmless nuisance to deal with. 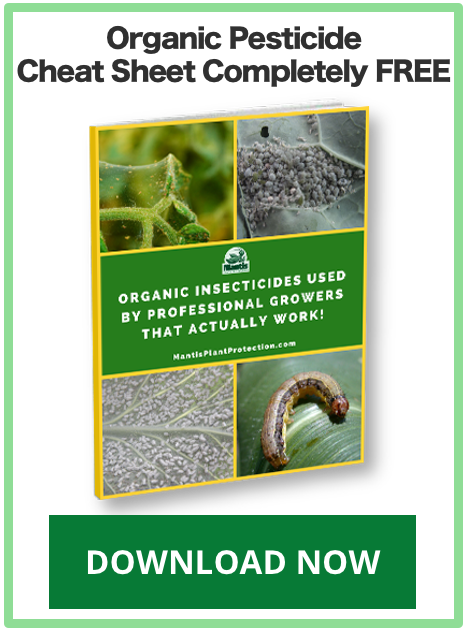 The problem is that the larval stage of the fungus gnats can result in damage to your plants as they snack on the delicacy that is your delicate plant roots and the organic materials meant for your plant’s nutrient source. Fungus gnat adult caught on a yellow sticky trap. The adults almost resemble a mosquito in that they have one pair of clear wings, long legs, and a delicate body that is long and light black. They are about an eighth of an inch in length. You may notice that they don’t fly much compared to other insects, and you’ll notice that they will fly up from your potted plants when you brush against the plant or water it. The larval stage of this pest is about a quarter of an inch and will remain in your soil. They have a transparent or whitish body with a shiny black head. The soils that you’ll notice them in are usually rich in nutrients and rather damp. Their favorite foods are your organic materials meant for your plants, root hairs, and fungi. Just one adult fungus gnat in your growroom can spell trouble. Although adults only live for about a week, they can lay on average 300 eggs in the right soil. Meaning that soil that you worked so hard to get just right for your plants. 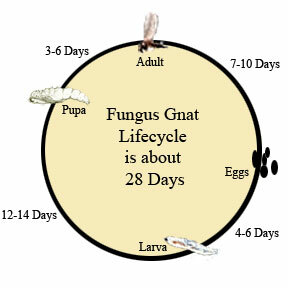 These eggs hatch in about five days, and then the larvae are free to eat your plant roots. This larval stage lasts about two weeks. They move to a pupal stage for about three to four days before they become adults that can kickstart this life cycle over again. You may find that you have all generations living in your potted plants all at once as it can only take about a month for these stages to happen. This means that any remedies you use will need to be used until there are no longer any eggs ready to hatch in the soil or you’ll be back to square one again. You may find that you were not noticing the adults flying around your indoor plants as they aren’t the best flying pests around, but you’ll certainly start noticing the damage to your plants. Some signs of injury include a sudden wilting of your foliage, your foliage may yellow, there may be poor growth, and your plants themselves lose their vigor. Some plants that can be harmed greatly by this pest include African violets, poinsettias, geraniums, and carnations. These effects will be even more noticeable to your younger plants that are less established, any cuttings you’ve made, and seedlings you have started. Having fungus gnat larvae make a meal out of these vulnerable plants may end up in the death of the plant unless you start working to remove this threat. One of the first things that you should be doing is examine any plants you purchase before you bring them back. If you find flying gnats or see any larvae around the base of your plant, skip purchasing that plant. As moist soil is the ideal environment for fungus gnats, you’ll want to work on not overwatering your plants. In the winter, your plants often don’t need as much water, so watering too much may make your potted plants vulnerable to these pests. Also, go light on materials that will hold water in the pot, like peat moss, as this creates the perfect environment for adults to lay eggs. If you find that you have a fungus gnat problem, you’ll want to let the soil dry out on your potted plants. About an inch or two of the soil should be dry between watering the plant. This will stop the development of eggs, kill off the larvae, and make females go elsewhere to lay their eggs. 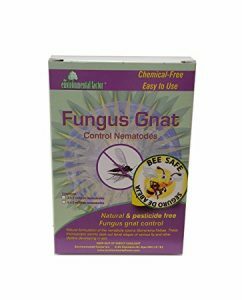 There is a beneficial nematode that you can introduce to your soil that will kill fungus gnats if you don’t mind adding a good insect to your soil. Nematodes are roundworms that are microscopic and kill not only fungus gnats, but also fleas, grubs, and other pests that live in the soil. The nice thing is that they don’t harm earthworms, and are completely safe for use around your family, plants, and pets. 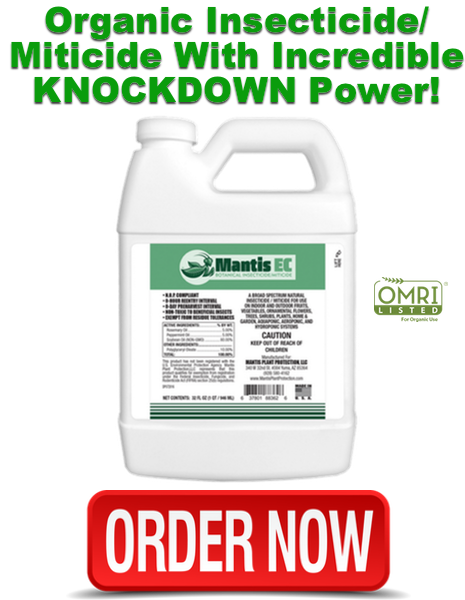 Click Here to order some beneficial nematodes! Yellow sticky traps can be a way to get rid of adults in your growroom. 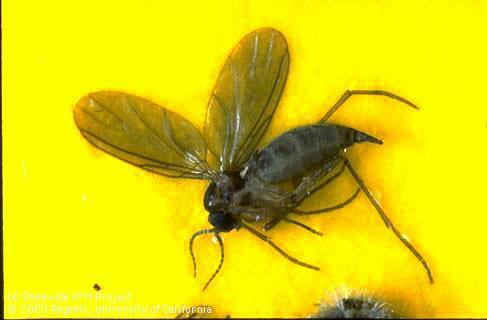 The yellow color attracts these pests and can help to stop them from laying eggs. Click Here to order some yellow sticky traps for your growroom! Neem oil is another great method for dealing with fungus gnats when you want them gone, but don’t want to go the nuclear option with chemical pesticides. The life cycle disruption that happens thanks to the chemical compounds of neem oil is sure to make this a good option. When treating for fungus gnats you want to catch them at their most vulnerable stage, which is the larvae stage in the soil. So the best way to use neem oil and azadirachtin based products is to apply a drench solution directly to the soil or growing medium. 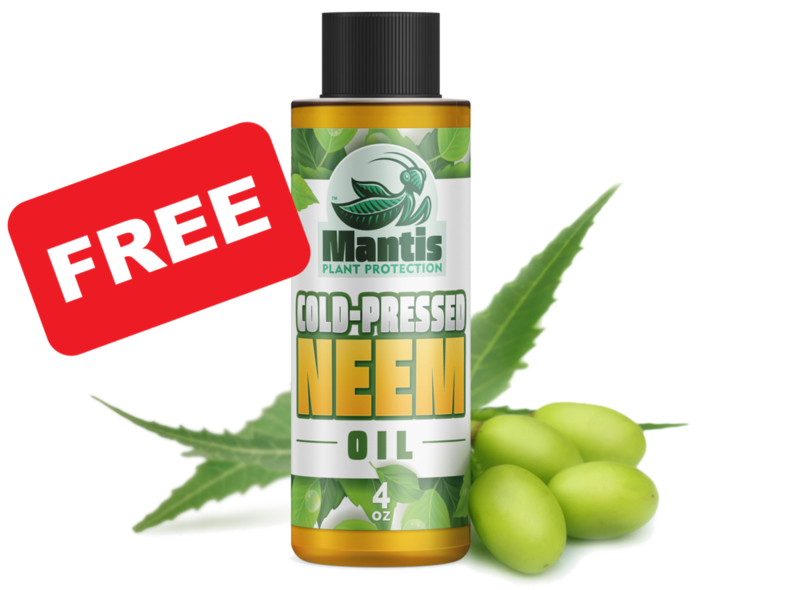 Click Here to get a FREE sample bottle of Mantis Cold-Pressed Neem Oil! Azadirachtin based products like AzaMax is quite effective against fungus gnats as well. Bacillus thuringiensis subspecies israelensis (Bti) works very well controlling fungus gnats at the larval stage in the soil. So just like neem oil, you’ll want to treat directly to the soil. Repeat applications are commonly needed for long-term control but still a very good option for organic growers. Keep in mind, this Bti is a different subspecies from other Bt products used for worm, caterpillar, and beetle control. If you apply those kind of Bt products, you’ll see zero control. Just make sure you purchase a Bti product like Gnatrol or Knock-Out Gnats Granules. 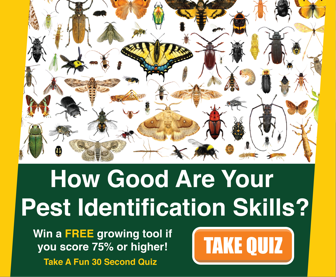 Click Here to try Bti! 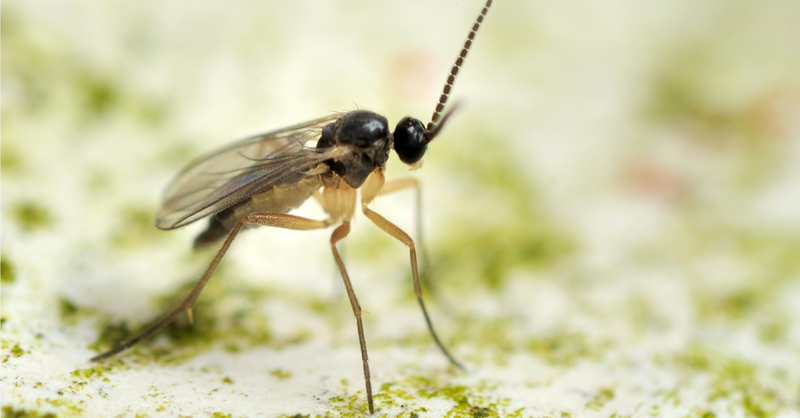 Fungus gnats are a real pain to deal with discovering them in your potted plants. Protect your investment in your growroom plants, and do what you can to stop the life cycle of these pests before they get out of control. Just keep in mind that magic number of 300 eggs from one adult and that should motivate you to find the right solution to get rid of them. 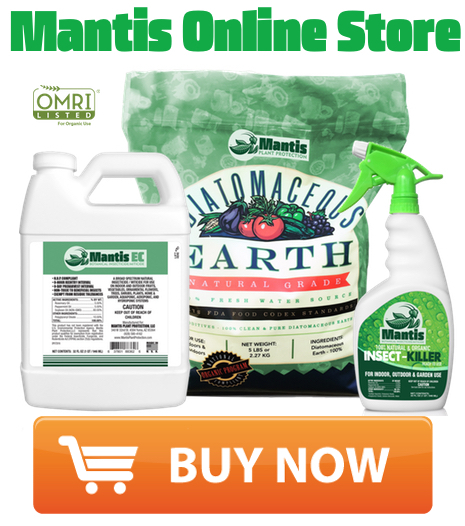 Our Mantis Cold-Pressed Neem Oil is a good place to start if you want to make your own neem oil spray to get rid of your fungus gnat problem.